The Museum’s exhibition design creates a continuous vertical path through all the levels of the Tower. The first room is dedicated to documentation using projections and multimedia stations. Second and third floor have the same expositive characteristics: main permanents items are exhibited in hanging structures. 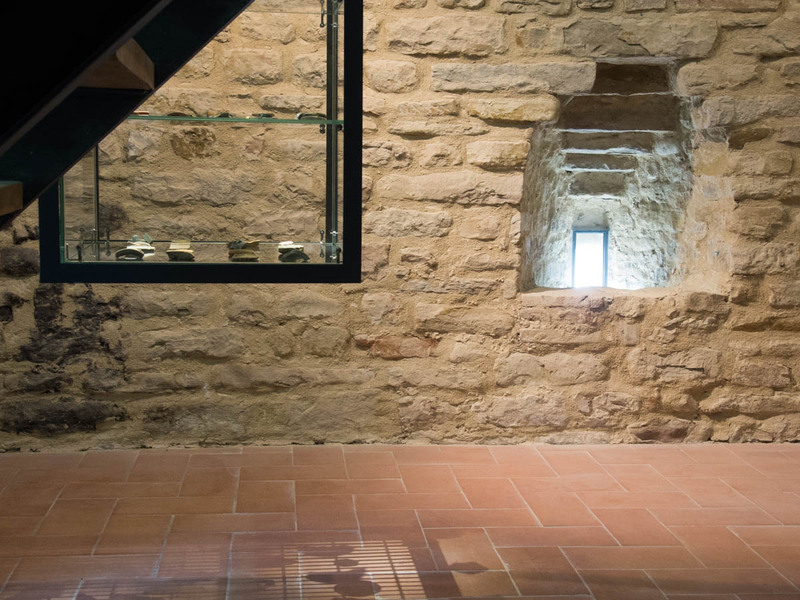 The exhibition path end up with the fourth level room, where visitors can see the archaeological finds and realize the vertical space of the tower, observing the landscape and the architectural elements such as the hanging exhibitor units and the stairs. 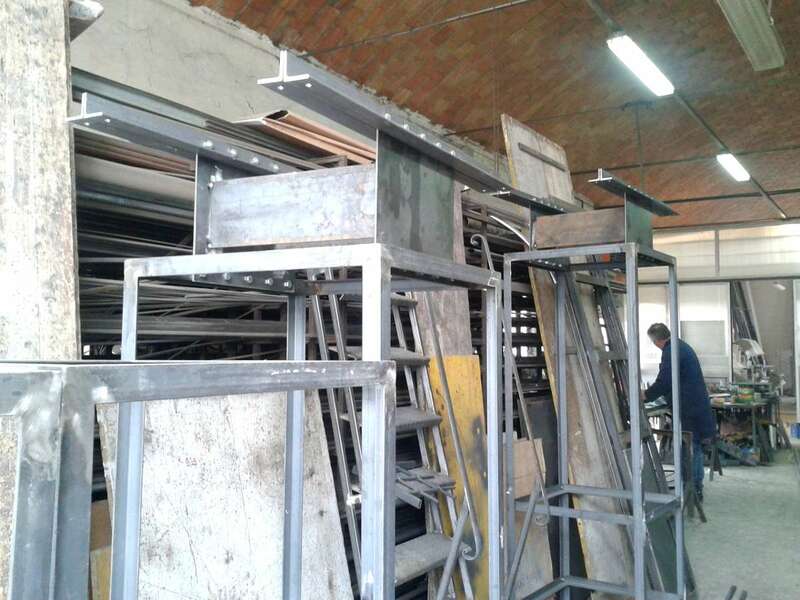 The basic idea of the project is to create an interaction between the exhibitor units and the space they are located in. The units are composed by steel structures hanging above each level of the Civic Tower. They establish a visual relationship among the different levels and permit to display items at different high allowing for different points of view. 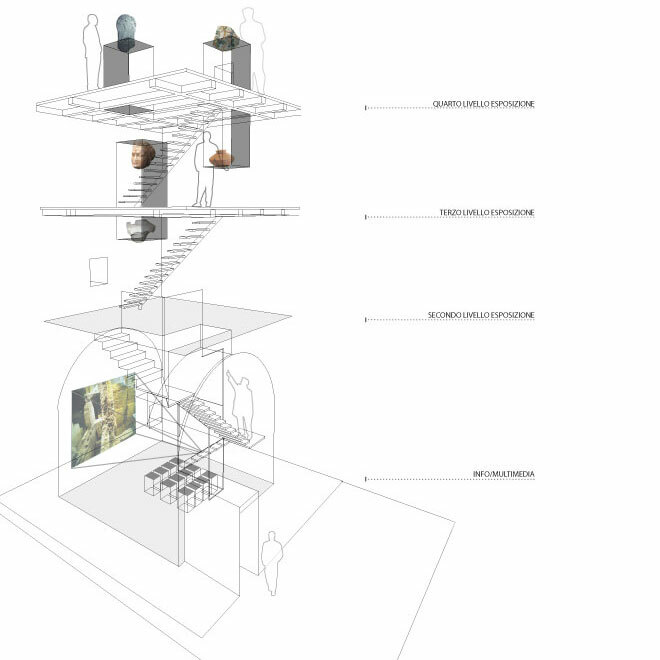 The way people can see the items, looking up or down or going up the stairs, supports the space verticality. 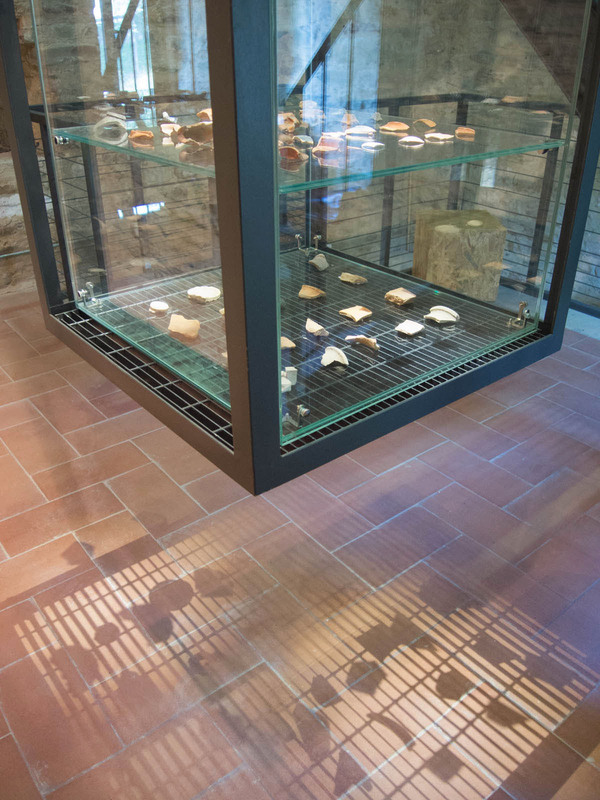 We decided to not use the perimeter walls for the permanent exhibition and develop the temporary exhibitions by increasing the opportunities provided by the walls: the stone surfaces, the niches, the windows offering beautiful viewpoints on the surrounding landscape.